Due out worldwide in late 2017. 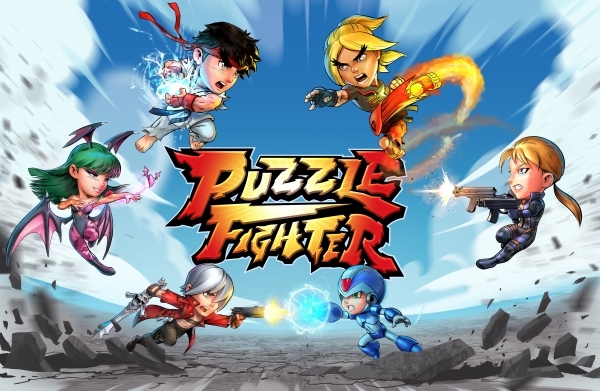 Puzzle Fighter features an outstanding roster of legendary characters and stages from popular Capcom franchises. Fan-favorites such as Ryu, Ken or Chun-Li (Street Fighter), X (Mega Man), Morrigan (Darkstalkers), Frank West (Dead Rising), and more come to life with VO and cinematic special moves. Players pick one main character each with their own strengths and benefits, to face-off in explosive gem-crushing action. In addition, two assist characters can be chosen to further enhance the abilities of the main character. Simple to learn but deep in strategy, this highly addictive puzzle game has players strategically building up gems and destroying them to unleash epic combos that can knock out their opponent. Thrilling real-time versus battles, rewarding single player options and an array of content to unlock await in this ultimate puzzle fight! Puzzle Fighter will be playable for the first time at the Capcom booth (#2309) at PAX West 2017 in Seattle this week. Watch the announcement trailer below. View a set of screenshots at the gallery. Visit the official website here.